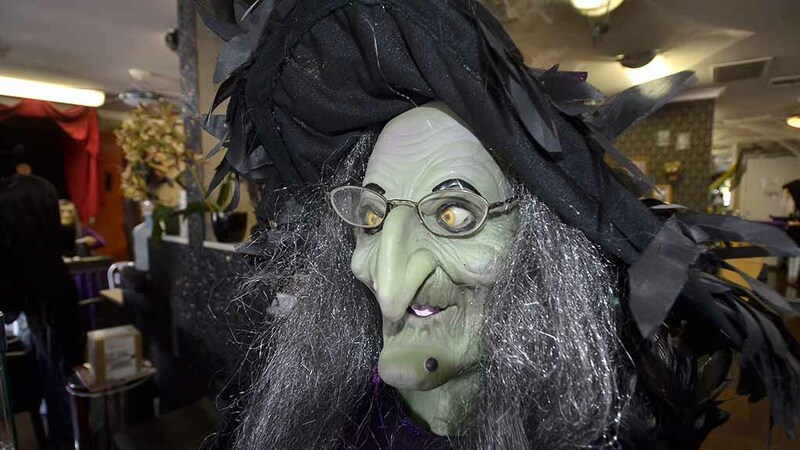 Patrons of the Jackson Drive hair and nail salon in San Carlos are personally greeted by an interactive witch activated by smart phone and other means. 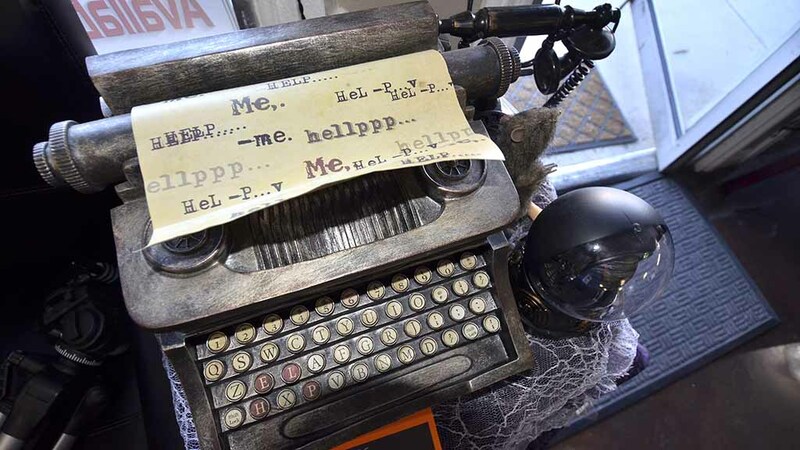 With booths leased to the 13 hairdressers, three manicurists and three who do facials and massages, Pizazz has become a Little Shop of Halloween Horrors the past seven years. Even the bathroom talks — with the toilet seat decorated with a three-D-style hand reaching up. It began with the gift of a mummy. “Every year, I added something else and it became a monster,” said Losek, a manicurist who runs a [mandatory] booth decoration contest with a $100 gift card prize — the winner decided by clients. One year, after an October break-in, a police K9 unit came to the store and found a hand starting to crawl on the floor. “The dog killed it,” Losek says. Setting up the major displays takes her and four others about eight hours, Losek said. This year’s Halloween-a-palooza ends Saturday night. So how does Losek decorate her San Carlos home? « Could 'Tiny Houses' Help Solve San Diego's Housing Crisis?